Crystal Palace and Bolton Wanderers have now both confirmed they will be in the end of season U18 Professional Development League play-offs with Leeds United and Charlton Athletic closing in on the two remaining places. Bolton had made it a week ago while Palaces 1-1 draw at Nottingham Forest last Saturday ensured they would be there and they will do so as winners of the south group. They hold a four point lead over second place Charlton with both sides now having just one game to play. Charlton still need a point to be certain. Millwall, who have two games left, are currently six points behind and they have the toughest of final games at Crystal Palace. It’s very similar on the north group with Leeds holding a six point lead over fourth place Sheffield Wednesday. Again, like Millwall, Wednesday have two games to play and that leaves Leeds also needing one point to ensure they finish in the top two and they could still end the season on top. They are currently three points behind Bolton with both having two games to play. Bristol City and Ipswich have both completed their south group fixtures and in the north it is just Burnley whose season has come to an end. We are currently third with 49 points but all of Sheffield Wednesday, Nottingham Forest and Birmingham are likely to move ahead of us by the time the season comes to an end. That season’s end comes next Tuesday with two re-arranged games, one in the north group and one in the south. That will then confirm the play-offs with the group winners at home against the opposite group runners-up in the semi-finals. 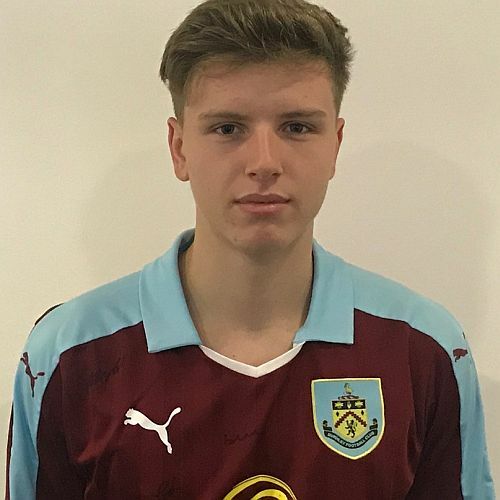 The player featured this week is central defender Lewis King who is one of the youth team players to have recently left the club. The League Tables will be updated over the next week as the results are confirmed. They can be found with our Fixtures and Results within U23/U18 Stats on the top menu. We’ll have the final league review on Wednesday of next week after the final games. Last week’s results, the remaining fixtures, Burnley’s goalscorers and the current tables are all below.